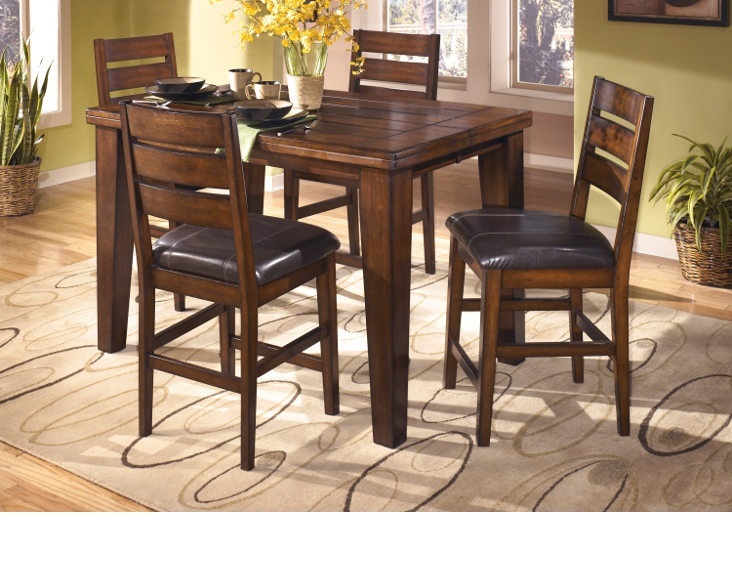 The Larchmont Dining Set Collection brings a classic beauty to the decor of any dining experience with grand Old World design and a rich finish. 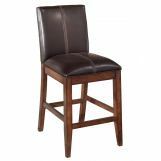 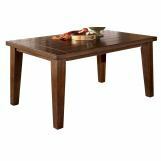 The rich burnished dark brown finish flows over the Old World construction of the planked and pegged table tops with the thick built-up edge and the massive table legs that have a two-sided taper shape. 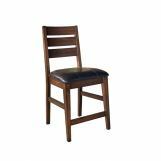 With a strong horizontal design and stitched faux leather upholstery on the chairs, this furniture captures the true essence of Old World design. 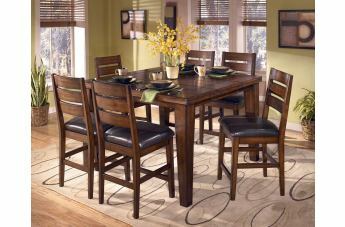 Create the perfect dining room decor with the grand style of the "Larchmont" dining Set collection.